I really like that top - and the softer peplum definitely looks great. Love the soft peplum, purple is your color. And I switch to dark jeans for fall too, hah. 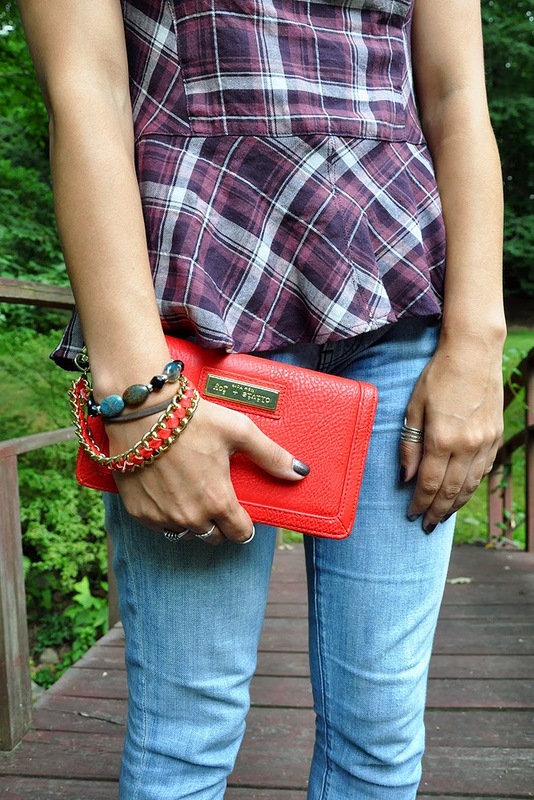 love the plaid peplum! such a great top! Love this outfit! The clutch is amazing too! You look amazing in plaid girlie!! It's a great top and looks very flattering on you. Looks like a 'real' peplum to me! And its so cute too! I would love to see this layered. The soft peplum looks great. I really like the plaid. What a wonderful top and colors of print are gorgeous. You look fab! It's a cute top and I did not jump on the peplum trend either, just one piece should last me a while. This 'softer' version is looking really good on you indeed! Wonderful look!